The BJP is looking at the alliance route in southern India to augment the numbers of the ruling National Democratic Alliance (NDA) during the Lok Saha elections with its leaders saying that the party is keen to keep its options open in case it requires support from more parties to return to power in 2019. In states like Tamil Nadu, Andhra Pradesh and Telangana, the Bharatiya Janata Party (BJP) is working to ensure that it either goes to the polls in alliance with a strong regional party or keep its ties with them warm enough so that it can get their support if such a need arises. 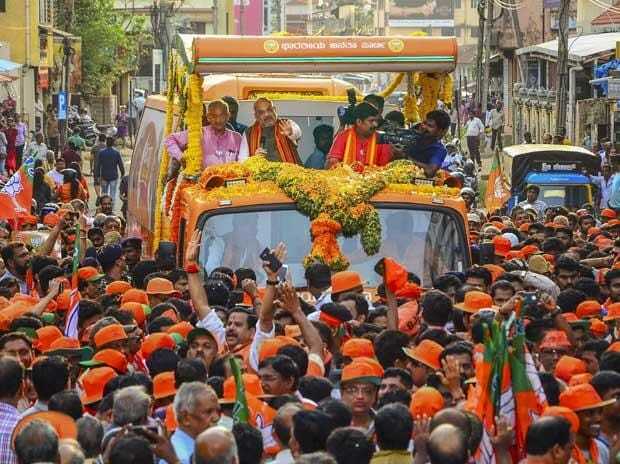 In the two remaining states of the south, the BJP has traditionally done well in Karnataka while alliances led by the Congress and the CPI(M) are the main forces in Kerala where the saffron party has been struggling to make its electoral presence felt. (DMK) despite maintaining warm ties with its Dravidian rival All India Anna Dravida Munnetra Kazhagam (AIADMK). Prime Minister Narendra Modi visited an ailing DMK patriarch M Karunanidhi last year and had flown to Chennai last month following his death. BJP sources said they are well-placed in Telangana where the ruling Telangana Rashtriya Samithi (TRS) has indicated that it may join hands with the saffron party with its supremo and state Chief Minister K Chandrashekar Rao keeping the Congress in his line of fire. The BJP-led National Democratic Allaiance (NDA) had weakened in Andhra Pradesh after N Chandrababu Naidu-led Telugu Desam Party walked out earlier this year but its managers believe that the YSR Congress, the main opposition in the state, will do well in the polls and may back it. Both the TDP and the YSR Congress are founded on strong anti-Congress sentiments and would not be very comfortable in an anti-BJP alliance where the Congress would be a lead player, they said. BJP president Amit Shah has been working to broaden his party's base in southern states but it remains to be seen how much it may improve its tally. It had won 15 of 25 Lok Sabha seats in Karnataka, two of 20 in Andhra Pradesh, one of 17 in Telangana, one of 39 in Tamil Nadu and none of 20 in Kerala in 2014.